Air pollution in Dublin caused by “particulate matter” – tiny airborne smog, smoke and haze particles smaller than 2.5 microns – often surpasses the World Health Organisation’s quality guidelines. "The pollution is mainly due to the increasing use of solid fuels such as wood chippings and peat products to heat homes", says Maria Cristina Facchini, CNR-Isac Director. The fuels, which are marketed as being “green” and “climate-friendly”, are causing “extraordinarily high levels of pollution” threatening human health. Using technology that can track the tiniest particulates,the researchers found that 70 per cent of the pollution found during these periods is linked to peat and wood-burning. 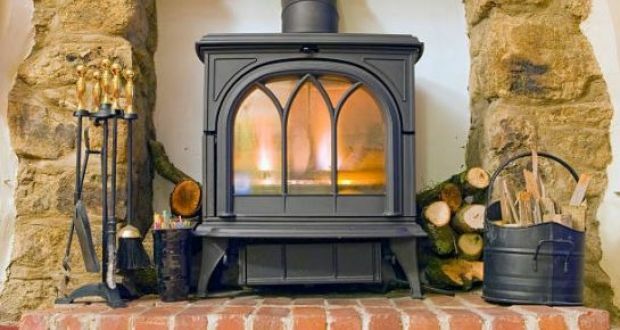 The dramatic rise comes despite the fact that only a small percentage of homes use peat or wood as a primary fuel – just 13 per cent of households, based on the closest census data. Most “bad air” days occur during cold and stagnant weather when fuel consumption is high and air dispersion is low. Homeowners have been encouraged to move away from fossil fuels to “low-carbon” or “carbon-neutral” ones to curb greenhouse gases responsible for global warming. However this shift is often towards wood (including pellets) considered as ‘low-carbon’ or ‘carbon-neutral’ biomass fuels and other solid fuels which can lead to disproportionately poor air quality. CNR-Isac Director concludes that "the findings have major implications for climate change policy which favours biomass to reduce carbon emissions. Climate policy must be developed in a way that does not replace one problem with another, and instead offers win-win outcomes so that actions to mitigate against climate change benefit air quality and vice versa”.